OXFORD — Oxford High School football coach Ryan Herring told his team this morning he was leaving the program for an undisclosed opportunity. His disclosure to the team confirms rumors first reported on social media by East Alabama Sports Today last night. Rumors had been heating up all day Wednesday that an undisclosed school in South Georgia was going to hire a coach on Friday and Herring was leaving for it. It is not immediately known if that position is Herring’s, but the rumors persisted he was leaving. 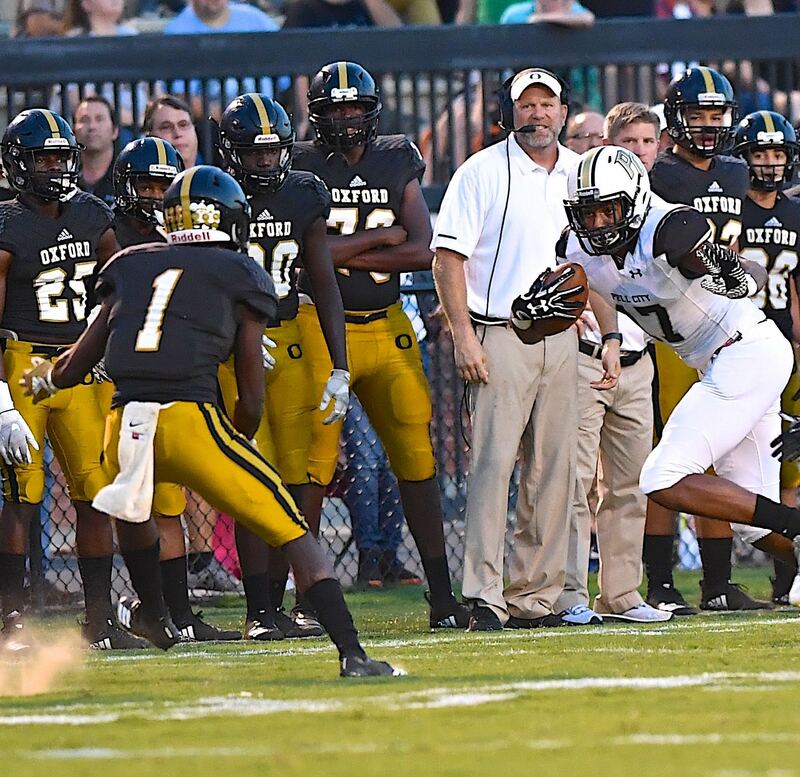 There is at least one high-profile opening in South Georgia after former Hoover coach and Calhoun County native Rush Propst was fired at Colquitt County High School in Moultrie in March. UPDATE: East Alabama Sports Today has learned Herring is heading to Pierce County in Blackshear, Ga. He will replace Jason Strickland, recently hired at Ware County. 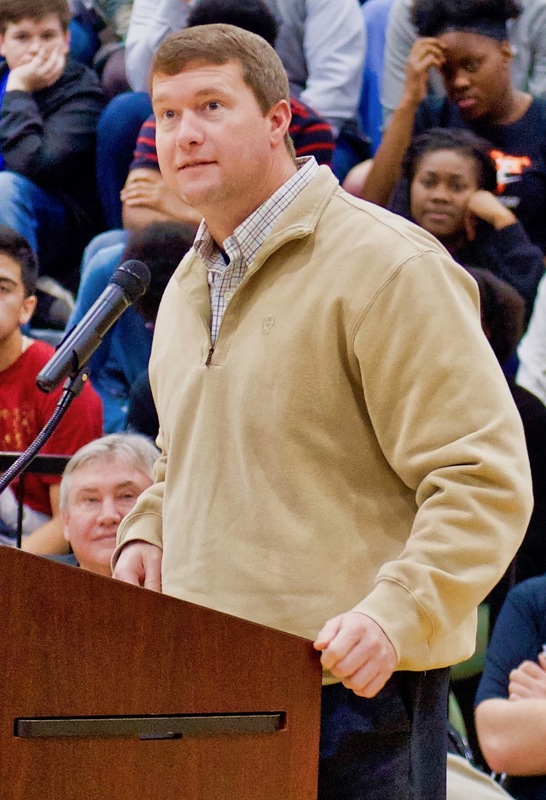 “Coach Herring announced to the team this morning that he is leaving Oxford High School,” Oxford athletics director Larry Davidson said in a text message to East Alabama Sports this morning. “He did a great job in continuing the tradition of what Oxford football is and will continue to be. Coach Herring will always be a ‘Yellow Jacket’ and we wish him the best. Potential candidates already have surfaced in the rumor mill for Herring’s successor, among them former Glencoe head coach and Oxford assistant Lee Ozmint, who recently took the head coaching job at Arab, and former Munford and Hazel Green head coach Will Wagnon. Herring just completed his sixth season with the Yellow Jackets and had his three most successful years over the final three when he went 10-3, 12-1 and 10-1 with two undefeated region championships and three straight playoff appearances. He was 50-21 in his tenure with the Jackets with five playoff appearances. His last two teams both made it to the third round of the playoffs. He also was the head coach at Lincoln and Shelby County and is four wins shy of 100 for his head coaching career (96-52). Herring could not be reached for comment Wednesday night or throughout the day Thursday.